LOUDONVILLE — Historian Geoff Benton will speak on “Henry Beekman Livingston, Black Sheep of The Livingston Clan” at 6:30 p.m. on Tuesday, May 8, in room 202 of the Roger Bacon Building (aka Key Auditorium) at Siena College, 515 Loudon Road. The event will be cosponsored by the American Revolution Round Table: Hudson/Mohawk Valleys and the college’s McCormick Center for the Study of the American Revolution. 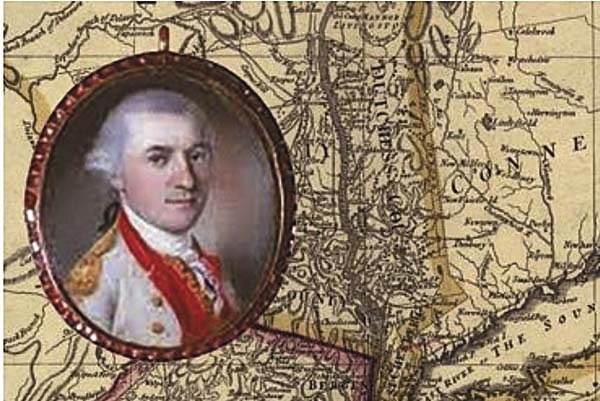 According to a news release, Henry Beekman Livingston was already well on his way to being the black sheep of the illustrious Livingston family before the Revolutionary War erupted. The war seemed to be his chance to make right, and he experienced a great deal of success on the battlefield eventually earning the rank of colonel of the 4th New York Regiment. Unfortunately, personal problems led to his resignation from the army, a disastrous marriage, and eventually complete isolation from his family. Benton is an upstate historian who received a master’s degree in American history from the State University Albany and has been researching the Revolutionary War in the Hudson River Valley for several years. Benton is currently employed at a New York State Historic Site. Parking is free, and visitors should park in lots F, G or L.
No admission fee, will be charged, a $5 suggested donation is appreciated. At the last event, the Round Table raised $300 for preservation of the Saratoga Surrender Site and construction of a memorial park. Visit www.fortplainmuseum.com/round-table for more information, including campus map, email arrthudsonmohawkvalleys@gmail.com, or call: (518) 774-5669.